Three models are available - NW-A916, NW-A918 and NW-A919 - with 4GB, 8GB and 16GB of flash memory respectively. Pricing ranges from ¥30,000 to ¥45,000 ($260 to $390), which seems a heck of a lot for a pretty average feature set these days. 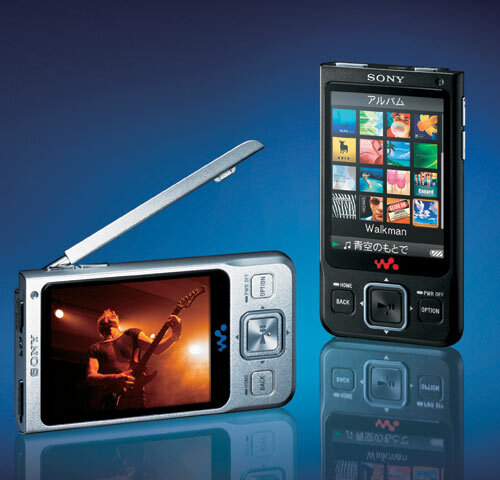 Still, if a 74g TV with a 2.4in screen that can record up to 100 hours of digital broadcasts as well as doing all the normal Walkman stuff floats your boat, then be our guest. On sale in Japan come November. Full details inexpertly translated by machine from the Japanese at the link below.